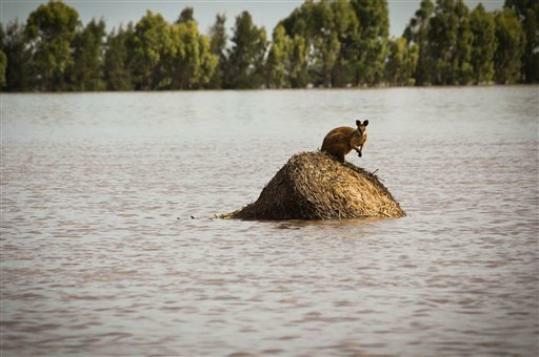 Try this headline on for size..................................... "AUSTRALIA FACES 'BIBLICAL' FLOODS"
I didn't make that one up. It is an actual headline from The Telegraph. Queensland is being "inundated" with a flood the size of France and Germany, combined. The secular world is finally realizing that her judgment is quickly coming, yet she remains fixated on "global warming" and flooding, when God told us plainly that He never again would destroy the world by flood. This time the world gets scorched. Well said Brother and thanks for your good words on the Nephilim thread at the other site.